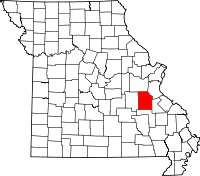 The vital records department of the Washington County Health Department, located at 520 Purcell Drive in the county seat of Potosi, MO, files and provides access to death and birth records dating back to 1980 and 1920, respectively. Certified copies of birth records cost $15, while death certificates are $13 and $10 for additional copies of the same one. Missouri requires that birth certificate applicants meet certain requirements before records will be dispensed. The applicant must be a member of the original recipient's family, a legal representative or guardian, or the original recipient themselves. Death record requirements are somewhat less strict. The Recorder of Deeds handles a number of others, such as deed records dated from 1813 to 1890, and marriage records dated from 1815 to 1918, and is located at 102 North Missouri Street, also in Potosi. The Clerk of the County shares the same address and also has birth and death records dating from 1883 to 1895.